It’s time for digital! | Political Data, Inc.
Ballots have dropped and votes are starting to trickle in. Now is the time that campaigns are amping up their digital efforts to support the traditional TV, Mail or field campaigns. And PDI is making this easier with the first of its kind direct-to-vendor data transfer for all your digital matching. You create your targeted voter list – or just take the list of voters you’re already targeting with your mail, field, emailing or other programs. You work with a digital vendor to make your digital plan. It could be as simple as some boosted Facebook posts, all the way to 30-second Video on Demand ads. 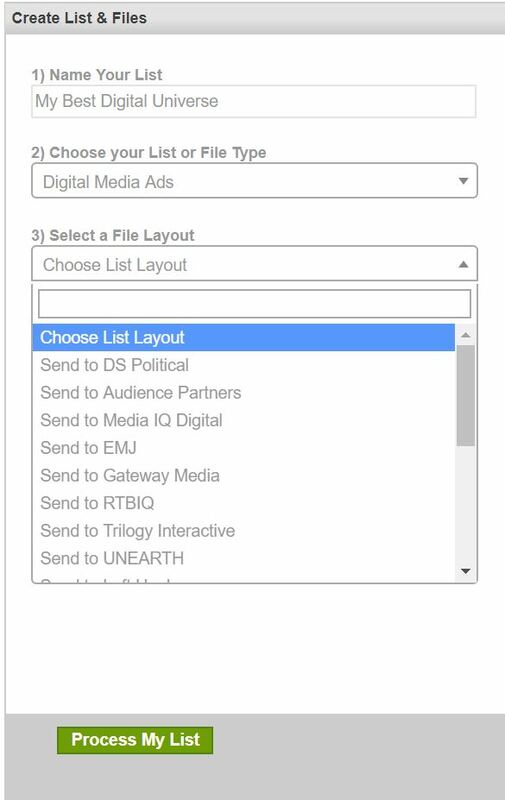 In the “Create Lists and Files” section of PDI, just select “Digital Ads” and the next menu will allow you to send that data directly to your digital vendor. Digital has been increasingly adopted by campaigns as both a cheap communication strategy – providing a way for even small campaigns to have an impact – and an effective large-scale strategy by multi-million dollar campaigns to support all their voter communication. Essentially, digital has a home in the smallest and largest budget campaigns. The key to digital in the modern application is targeting. No longer are campaigns happy with broadcast targeting ads to anyone who reads the Fresno Bee, as an example. Instead, a campaign is using the same tools they use to create mail, phone and walk universes, building targeted lists of voters by party, turnout likelihood, and ethnicity/gender or other factors. These segmented universes are being sent specific ads. This ends up being a bit more expensive on the per-touch calculation – but it also means that your ad is only being seen by voters – you’re not paying for ads to be put on the phones and computers of non-registered voters, kids, internet bots, or people around the country who can’t vote in a California election anyways.